There are many theories that reality is a mere illusion, that it is a figment of our imagination. However, we have the potential to augment that reality and even transform it entirely into virtuality. Technological advancements have empowered us to make this science-fiction our ‘reality’. 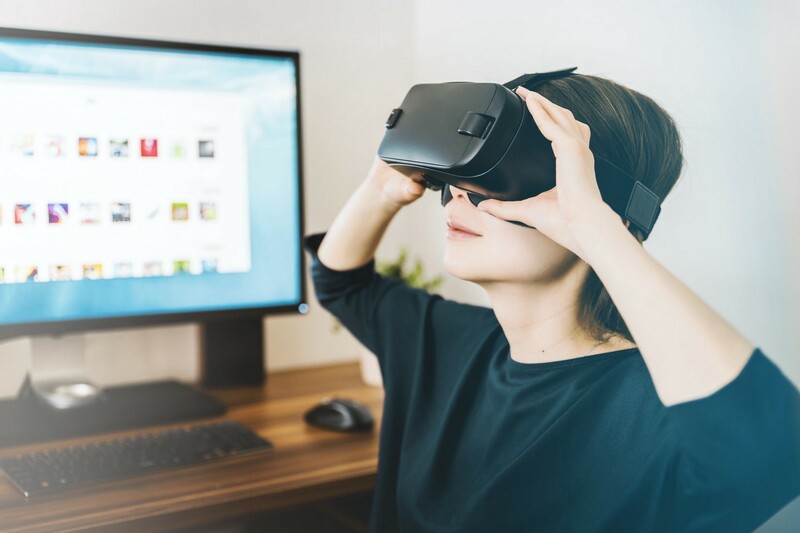 Virtual Reality and Augmented Reality technology have developed rapidly in the last 5 years — we can now augment our physical reality with the help of a simple app, or step into a different world by simply wearing a pair of glasses. This technology has the potential to transform our lives. It can be implemented in fields ranging from art, music, and performance, to sports, education, and medicine. Unfortunately, these fields have been dominated with the visual medium, while excluding the 7,297,100 people who report having a visual disability in the United States. Visual impairments are not signifiers of intelligence or brilliance. Many people, such as Richard Turner, have preferred not being associated with their visual impairments due to the biases it creates in the minds of the people they interact with. Why then are we choosing to leave out 2.3% of the population when it comes to developing mixed-reality technologies? Would you say your work is more VR or AR? Where can we see trends emerging beyond marketing, art, games, and installations?